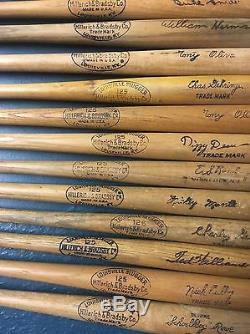 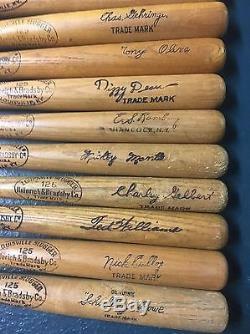 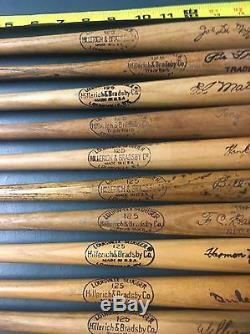 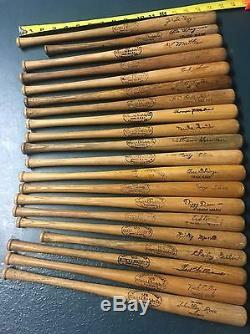 In this Lot they are.... Joe DiMaggio Pie Traynor ed Matthews Tony Lazzeri Hank sauer Bill Taylor F C Babe Herman harmon Killebrew Duke Snider William Herman Tony Oliva Chas. 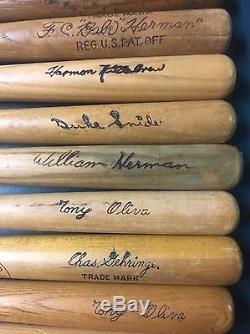 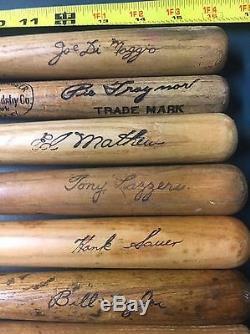 Gehringer Tony Oliva dizzy Dean E. S Ramburg Mickey Mantle Charlie Gelbert Ted Williams Nick Cullop schoolboy Rowe.... 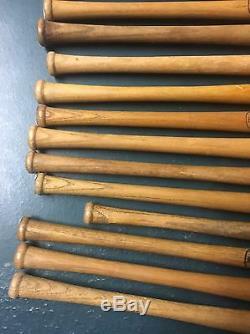 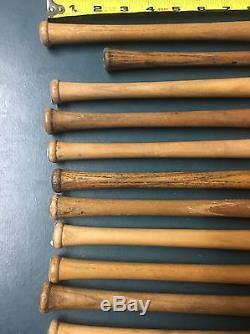 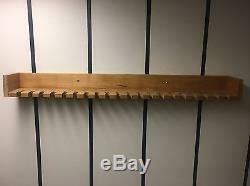 The item "20 VINTAGE MINI BASEBALL BATS SOUVENIR MINIATURE LAZZERI TRAYNOR DEAN With Rack" is in sale since Tuesday, March 14, 2017.